By Brian Hoban,Clogher Heritage Centre. 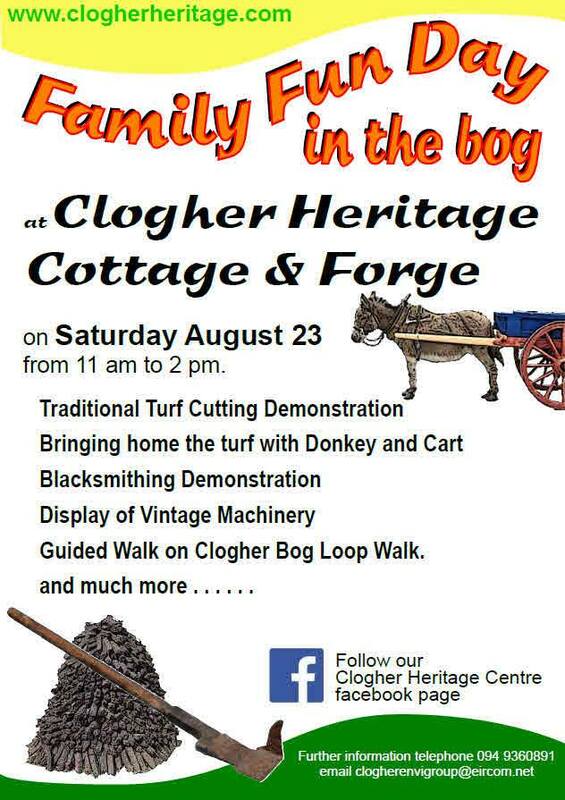 As part of National Heritage Week "A Family Fun Day on the bog " will take place at Clogher Heritage Centre, Clogher, Claremorris. In addition to events listed on poster there will be Threshing Machine & Demonstration. There will be a Novelty Ferret Event with real live ferrets.